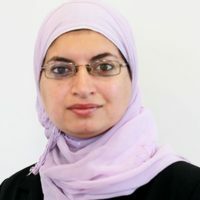 Tasmina Goraya is a senior associate in the firm’s Life Sciences Group and specialises in patent litigation, transactional/commercial IP work and life science regulatory matters. A broad range of regulatory and compliance issues in the relating to pharmaceuticals, medical devices, cosmetics and human cells and tissue. Intellectual property aspects of corporate transactions and on a range of commercial agreements, including licence and assignment agreements, research and development agreements, materials transfer agreements and clinical trials agreements. Patent disputes across a range of sectors, including providing strategic advice on infringement and validity of patents. Tasmina graduated with a first class honours degree in Toxicology & Pharmacology from The School of Pharmacy, University of London before completing her PhD in Pharmacology at the University of Cambridge. She then worked as post-doctoral scientist for several years before moving into law. She regularly writes articles on issues affecting the life sciences industry and holds a Diploma in Intellectual Property Law and Practice from the University of Oxford.